This image of the path left by Curiosity is truly awe-inspiring as it shows just how alone she is on Mars. 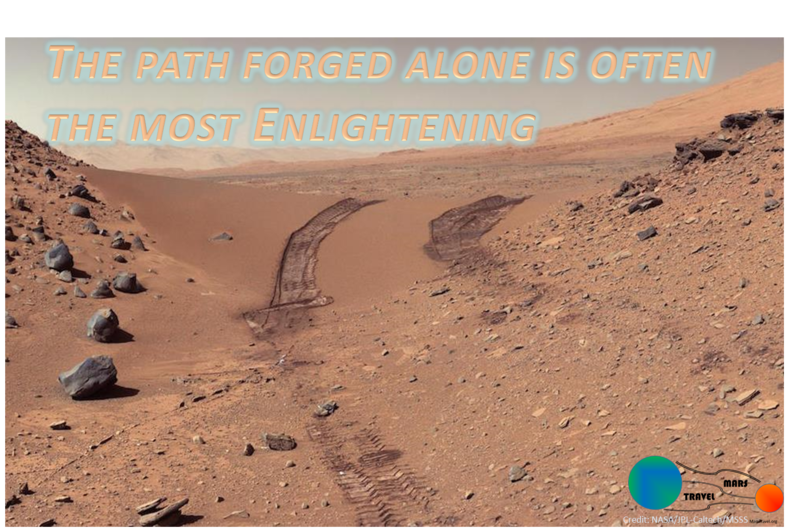 This also goes to show how "the path forged alone is often the most enlightening" because the discoveries made by Curiosity have given humanity a brand new perspective on the history of Mars and our place in the solar system. Please spread this and other space material far and wide so we can help raise public awareness and excitement for space exploration and discovery. A good starting point would be to use this image as a flier and post it within your local community, or on your social media. The more space advocates we create, the louder our voice will be!